A shallow reef with approximately 30ft depth located in front of Ambience Jamica Resort. This site is great for diving or snorkeling and is full of nooks and crannys. 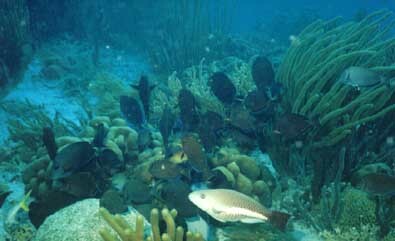 At 15ft, there is an old freighter which is home to schools of fish, barracuda, occasional turtles and morays.